The hot season comes with numerous temptations from poolside parties, to backyard barbecues and ice cream mixes. But if you plan to spend your vacation on the beach, then you want to look good in that swimsuit. You may have heard about detox diets, but you may have no idea what they imply. Detox diets are used by people when they want to improve the digestion, clean out the toxins from their body and when they want to have an energy boost. After a period when you have tried everything when it comes to drinking and eating, it may be the time to help your body recover, especially if you want to look great at the beach. The detox diet does not make miracles, but it can help you have a fresh and radiant look. When you want to detox your body you need to cut down the calories, and you may not feel great doing it. Your body is used to receive a certain quantity of calories daily, so it is dependent on them. When you cut them down you have to help it transition. Spirulina will help you maintain your metabolism stable, and it will help your body get rid of the heavy metals because it also has antioxidant properties. If you want to take the toxins out of your body, sweating is the simplest and best solution. A great way to sweat is to exercise, and in this way, you have double benefits. You work your body, and you sweat the toxins, so you will help your body eliminate the waste and activate the organs. It is enough to have a 20 minutes workout daily if you want to sweat with the help of exercises. Also, you can go to the sauna if you find too difficult to exercise. Wheatgrass is one of the supplements that contain numerous vitamins like A, C, and E, but also minerals as iron, calcium, and magnesium. Considering its properties, it is understandable why it is essential for a detox diet. Organic wheatgrass powder will help your body maintain the essential amino acids. 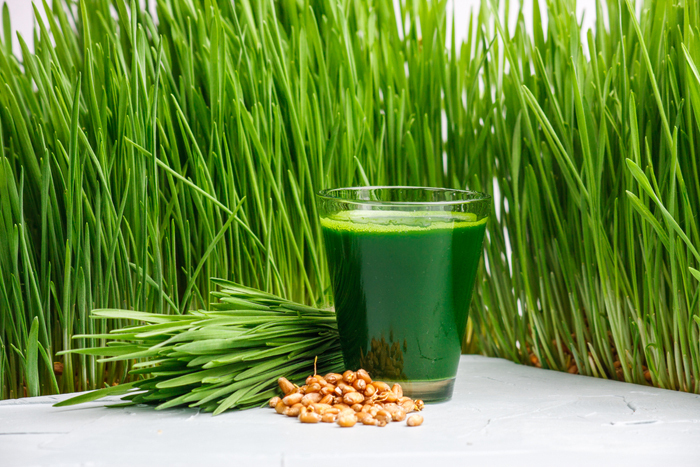 Wheatgrass is also considered an antioxidant so it will help you flush toxins out of your body. Skin detox is an essential part of the detox routine people should have before going to the beach. It is important to have a healthy and glowy skin. And the best way to obtain it is to exfoliate it regularly. If you have neglected this habit lately, then you will have to exfoliate it a few more time than usual. Depending on your skin sensitivity you can even exfoliate it three or four times a week. Alongside with water, you should also drink tea, because it will help your body get in its best shape. You should try teas made from dandelion, ginger, nettle, and sarsaparilla root. Drink at least three cups of tea a day for great results.